Sometimes outdated or even incorrect information can appear on your credit report. If this is the case, your ability to obtain credit may be impacted. 1. First of all, take action immediately; don't wait to fix the credit report errors. 2. Finding an error on one credit report means that there is a chance that you have the same error on your file with the other two credit reference agencies. Therefore, as part of the credit report error correction process, it is wise to check your credit report with the other credit rating agencies, as the error may or may not appear on your credit records with each of these companies. If you do find that the credit report error exists with more than one agency, you will want to follow the process below for all credit rating agencies where credit report errors exist. 3. Keep a record of everything that you do. Never send original documents and always make copies of everything (letters etc.) that you send to the credit rating agencies. If you send anything via post, send all correspondences return receipt requested. 4. Before you contact the credit rating agencies, contact the creditor directly about the error. If you are able to easily prove that there is an credit report error, you should be able to get the matter cleared up relatively quickly. When an error has occurred, the creditor is required to update its internal records as well as its records with all of the credit agencies it deals with, usually within 28 days. 5. Put all conversations in writing. If you talk to a creditor by telephone, document the conversation and then send the creditor a copy. Include your account number, full name, the date and time called, who you spoke with, and what you discussed in detail. This includes listing each credit report error being reported as inaccurate, along with an explanation of why it is inaccurate. 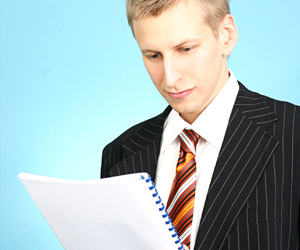 Provide copies of documents that prove the inaccuracy whenever possible. 6. If working with the creditor directly does not fix the error, next you should contact the credit rating agencies in writing. Ensure that you have a printed copy of your credit report from the agency before calling. Include a copy as well as a description of the credit report errors and copies of the correspondence you have had with the creditor. The credit rating agencies should then investigate your claim and contact the creditor as part of the dispute resolution process. Once investigations by both the credit rating agencies and the creditor have been completed, the credit rating agencies will make any changes to your credit file based on information reported by the creditor. The credit rating agencies will also notify you that a change has been made. What do you do if the error doesn't get fixed? If you cannot get the error on your credit report fixed by following the steps above, there is one final step that you can and should take. You have the right to attach a 200 word statement, free of charge, to your credit file at the credit rating agencies that explains the nature of your disagreement about the credit report errors. Your statement will become part of your credit file, and will be included each time your credit file is accessed.